Aluminium Il y a 5 produits. This is one of the best known of the high strength aluminum alloys. With its high strength and excellent fatigue resistance, it is used to advantage on structures and parts where good strength-to-weight ratio is desired. It is readily machined to a high finish. It is readily formed in the annealed condition and may be subsequently heat treated. Arc or gas welding is generally not recommended, although this alloy may be spot, seam or flash welded. 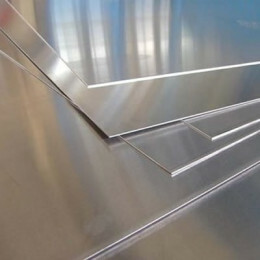 Since corrosion resistance is relatively low, 2024 is commonly used with an anodized finish or in clad form (“Alclad”) with a thin surface layer of high purity aluminum. Applications: aircraft structural components, aircraft fittings, hardware, truck wheels and parts for the transportation industry. Important: Only available in 6' increments. 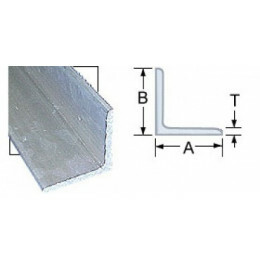 We can cut to smaller pieces for shipping, but total quantity ordered must equal 6 ft, 12 ft, 18 ft, 24 ft, etc. 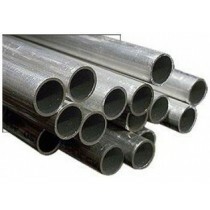 Rigid 5052-0 aluminum alloy tubing is used for low and medium pressure hydraulic systems, fuel lines and oil lines. This tubing will withstand a higher pressure than 3003-0 tubing.